France produces many of the best wines in the world. Combine this with gourmet cuisine, some beautiful landscapes and unique cultural treasures and you have the recipe for a memorable walking holiday. We have created a number of unique guided and independent walking holidays in France which focus on discovering the fine wines from a particular region. Our wine trail walking holidays explore French regions such as the Jura, Burgundy Bordeaux, Rhone Valley and Beaujolais, which have been chosen for their fine wines, beautiful landscapes and great walking trails. An important part of our wine trail walking holidays are the wine tasting visits with local independent producers. The vignerons are passionate about their wines and will let you in on the secrets of how they produce their sought-after labelled wines. Indeed many of our guest houses are located on vineyards where you'll have ample opportunity to learn more about their wines during your stay in authentic and historic surroundings. In addition to the French walking holidays listed below, many of our other walking and cycling holidays have days which explore wine regions of France. 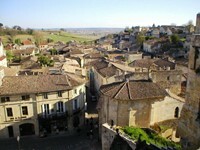 Our Bordeaux wine trail walking holiday traverses some of the most famous vineyards in the world. Discover a rolling countryside steeped in history, from its 2000 year old vines planted by the Romans to its wine chateaux and historic villages. Your walking trail starts by exploring the famous St Emilion vineyards home to some of the most sought after Bordeaux wines. Varied independent walking through secluded valleys and beautiful countryside in the famous French wine growing region (vintage Beaujolais crus). This short break walking holiday will suit those who enjoy wine tasting visits, great local cuisine and relatively easy walks. This self guided walking holiday follows on from our Grand Crus wine trail & traverses a number of pretty valleys harbouring pretty chateaux and quaint villages. Your trail then traverses the “Golden stones country” (pierres dorées), so-called due to the warm colour of the limestone in the medieval villages, set in a sumptuous landscape of interlocking hills. Daily wine tasting at your guest houses on vineyards. This short break independent walking holiday traverses the southern Burgundy through the heart of the Chardonnay wine growing region. These dry and fruity French wines have their most famous ambassadors in the Pouilly-Fuisse & Saint Veran labels. As well as the wine tasting, this self-guided walking holiday explores a landscape full of historic treasures. Historic chateaux, villages, and romanesque churches are set in rolling countryside punctuated by a number of rocky outcrops. Great food in lovely guest houses. Our self guided walking holiday in the Jura of France is a linear walking trail which follows the vines south, allowing you to discover not only the unique Jura wines, which include the famous Vin de Paille and Vin Jaune, among the most prized wines in France, but also wonderful historic villages such as Baumes-les-Messieurs and Chateau Chalon. These villages are situated on hills which are home to a series of dramatic valleys and gorges which harbour stunning waterfalls & dramatic cliffs. Our Cotes du Rhone Wine Trails in Provence explores the eastern side of the Rhone Valley from the Baronnies Regional Park in the north, to the slopes of the impressive rock spires of Dentelles de Montmirail in the south, passing by the foothills of Mont Ventoux. A tailor made guided walking holiday in France through the beautiful Beaujolais villages and countryside with the emphasis on discovering the different Beaujolais wine growing areas and trying the best at local vineyards. Easy day walking and wine tasting visits. 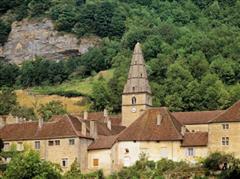 A guided walking holiday exploring the gorges, waterfalls, lakes and historic villages of Jura's picturesque wine region. Wine tasting and some of the prettiest villages in France such as Baume les Messieurs are combined with some beautiful landscapes. Follow High Point Holidays's board Wine Trails on Pinterest.